Vegetables play an important role in organising a wholesome meal , molor chechki is one such interesting way to prepare Radish in a genuine Bengali way , its finely grated or in Hindi using Kaddokas , Grate them .We like eating this dish with warm cooked rice , although it is better with the white long radish found in India ,not the small reddish Radish of US which I must admit looks so cute .Grated radish is tempered with mustard seeds,turmeric powder, and cooked at low to perfection ..
Wash Radish in water , grate them or Kaddokas ker lein..
Heat a kadai, add oil ,add mustard seeds and let it pop up. Then add grated radish ,turmeric powder ,salt ,slit green chillies in between and add them too , cover and cook at low for 7-8 mints. Add sugar now and if there is still some juice left cook at high till the juice evaporates stiring continuously. this one goes to Mandira for her Green Blog Project go here for more details GBP . happy cooking and Bon Appetite. Great entry Jaya.Dish is yummy.I lvo Radishes too. That curry is delicious with rotis, I bet. Jaya - darun dekhte and I'm sure khete :) Thank you for this delicious entry. I've been trying to leave comment since yesterday but the blog was unavailable. Thanks for coming by my dear friends Sandeepa,Asha,Trupti..
anyways ladies have fun and happy holi..
Fresh home grown radishes!! I never tried making a dry saute with it ever. Good recipe. Jaya - eishing you and your family happy holi. I hope it was fun! Hi Jaya! I just saw the comment you left on my blog was back in Oct '06 and found you through that! I'm sorry I missed seeing it before this. I think the alerts failed somewhere. Congrats on your blog - a little late - but heartfelt nevertheless! 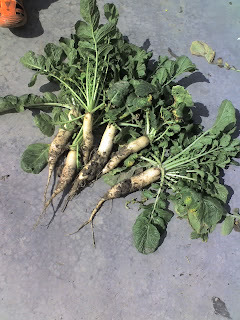 Your radish look really good and the molor chechki sounds a lot like what we make, too! Do you use the leaves or do you discard them? We use both the leaves and the mooli in this dish. I'm adding you to my RSS feeds so that I don't miss your posts or comments again! dear Sailaja, thanks for stoping by .. 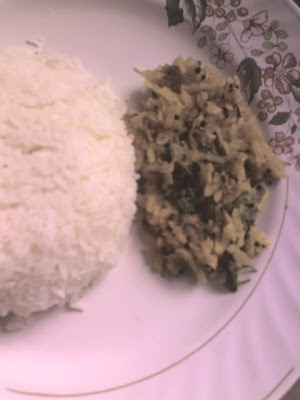 I am so glad you liked the Mooli recipe , we dont use the leaves though but we Bengali love the Molor Shaag ,or the leaves fried slowly on low ..but not in this recipe .. 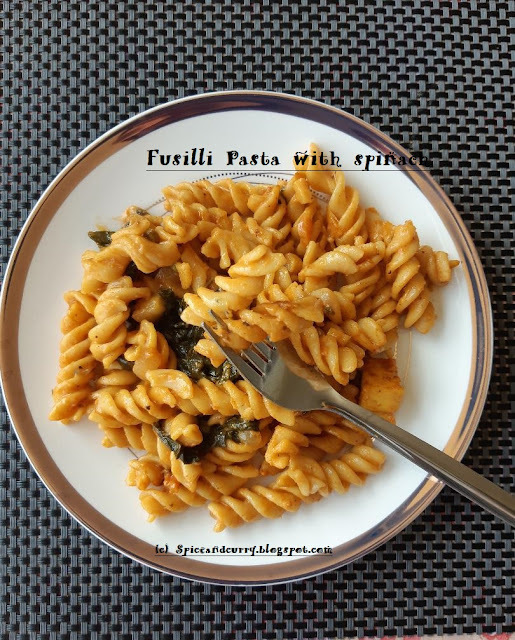 Thanks for coming by and for your encouraging words ..
BTW , Blogging from India is bit difficult , there lot of other things which keeps me busy these days ..but whenever I will find time I will be back with other recipes ....meanwhile I will be visiting all of my fav Blogs .. I'd love to try your molor shaag recipe whenever you get the time to post it!